Patch 4.5, the patch Epic says will be the largest for Season 4, is now live in Fortnite. The biggest, most newsworthy addition this time around is the “Playground Mode,” which gives players a chance to take the edge off and just run around the map without worrying about anybody else. You can invite up to three friends, and sort-of turn it into a match, but its real purpose is as a practice mode. In addition: map markers! 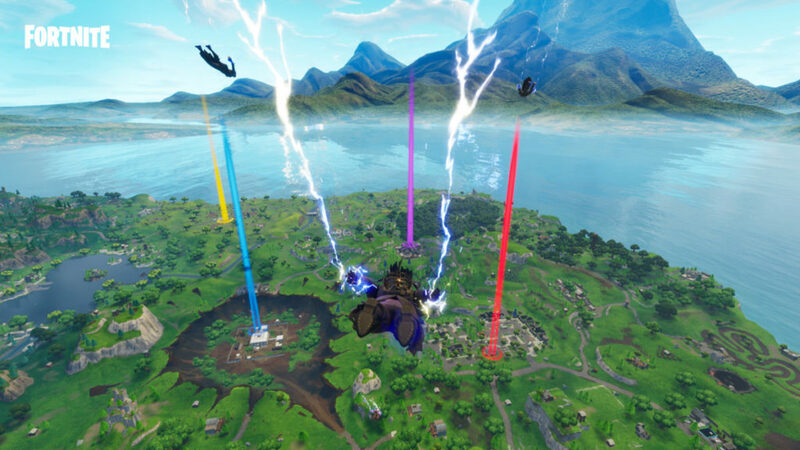 (see splash image) Now when you parachute onto the island, you’ll be able to spot bright, bold markers placed by your teammates, so you know exactly where to head. Plus the newest weapon, Dual Pistols, allows you to go full Lara Croft on your enemies. But it’s one of the patch’s quieter adjustments to Fortnite tha is getting attention. Specifically, Epic has finally put the hammer down on one-way viewing structures. Previously, it was possible to create a “window” in a wall by opening up Edit Mode and selecting a square for removal, but not following through. Since the selection became clear, everyone else saw a solid block while you could see through it and keep tabs on outside events while remaining safe. More info on Patch 4.5 can be found here.